Monday evening seemed like a good time to have the first recipe from this episode, which was for Alton’s beurre blanc. I have had beurre blancs in the past, but always in a restaurant. 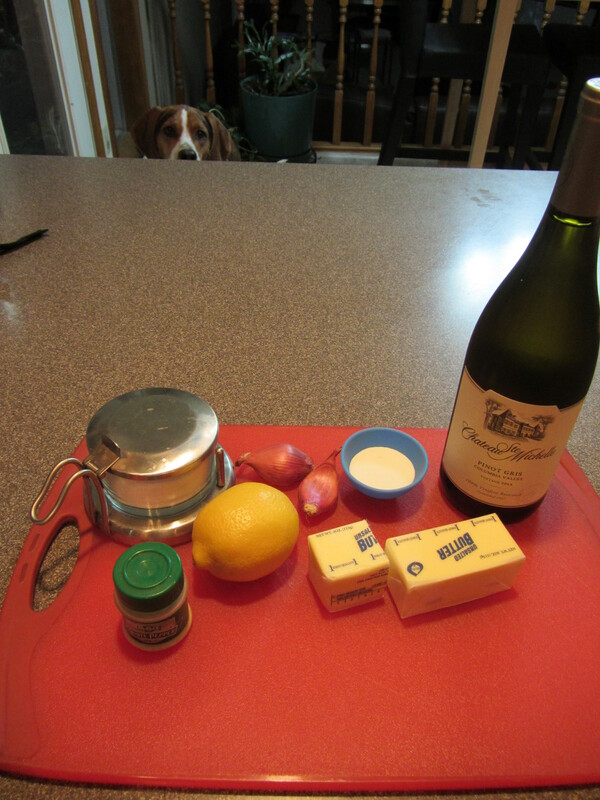 Beurre blanc ingredients: shallots, white wine, lemon juice, heavy cream, unsalted butter, Kosher salt, and white pepper. 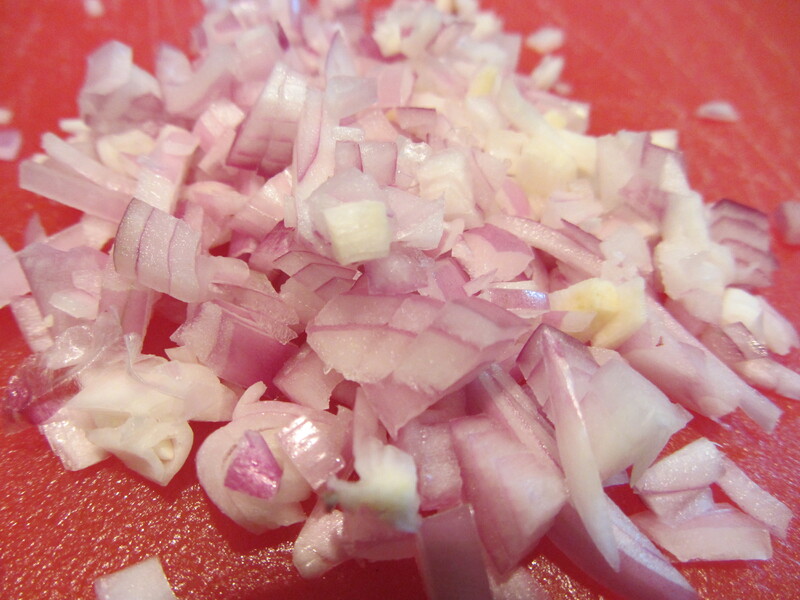 To make Alton’s sauce, add a couple of small chopped shallots to a pan, along with 8 oz. of white wine and 2 oz. of lemon juice. 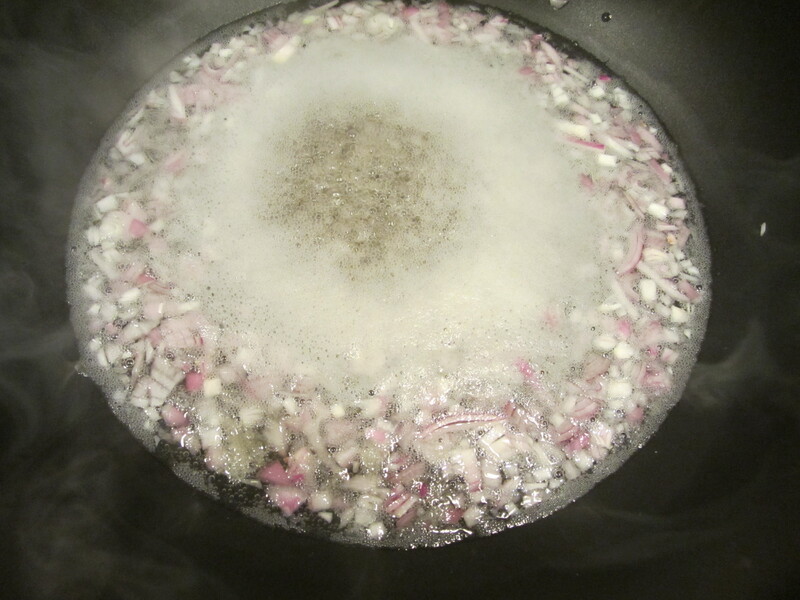 Shallots and wine in the pan. 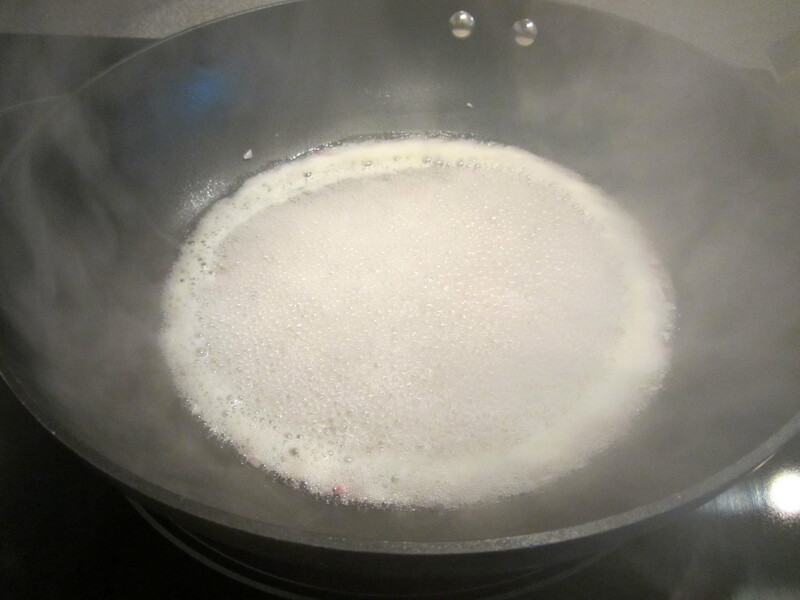 Increase the heat to high, and reduce this liquid “au sec,” or until almost dry; you will have about 2 T remaining. 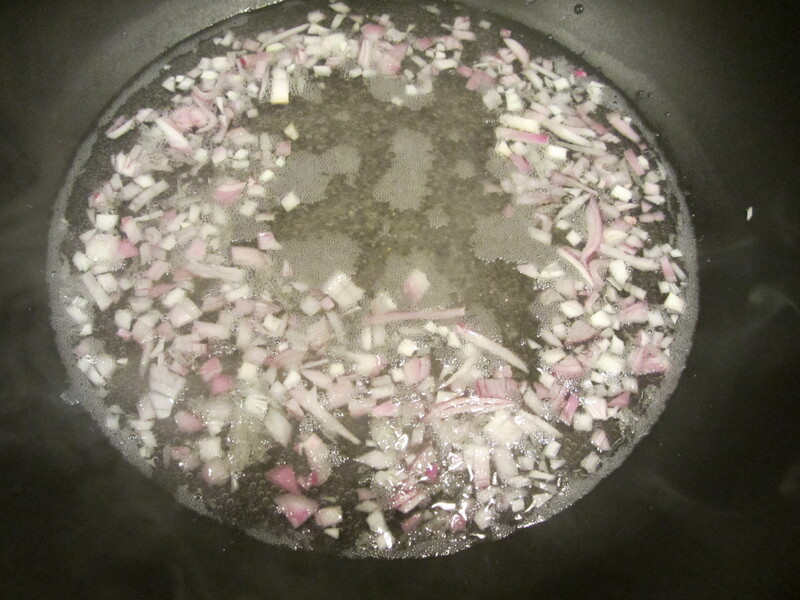 Shallots, lemon juice, and white wine. Cream bubbling, so heat turned to low. Next, you will need 6 oz. 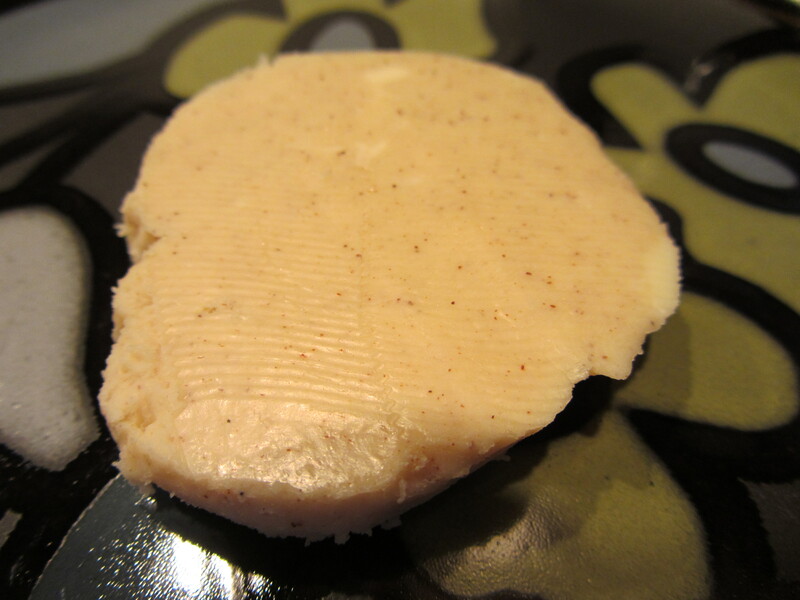 of cold, unsalted butter, which you will want to cut into tablespoon-sized chunks. 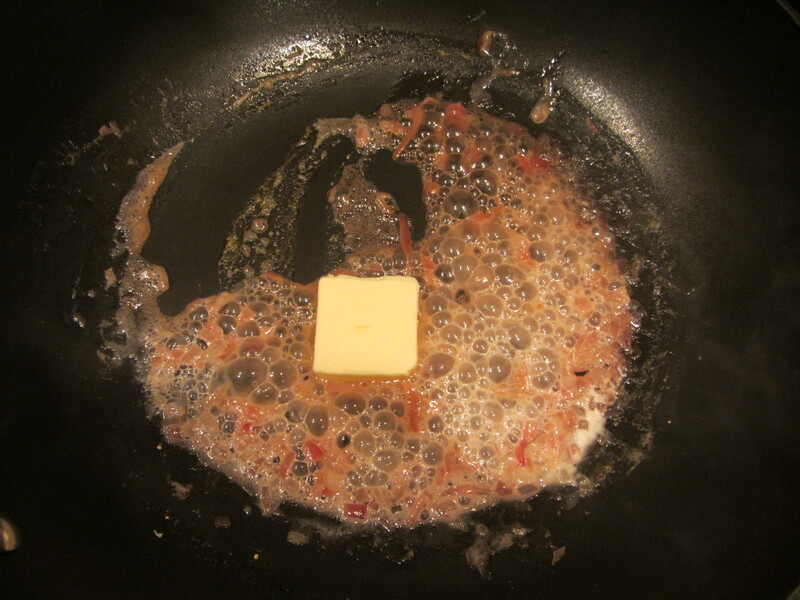 You will add the butter chunks one at a time, first on the heat, and then off of the heat, until incorporated. If the sauce gets above 130 degrees, the membranes around the fat globules will collapse, so you do not want the sauce to get too hot. First chunk of butter being added. …and then off of the heat. 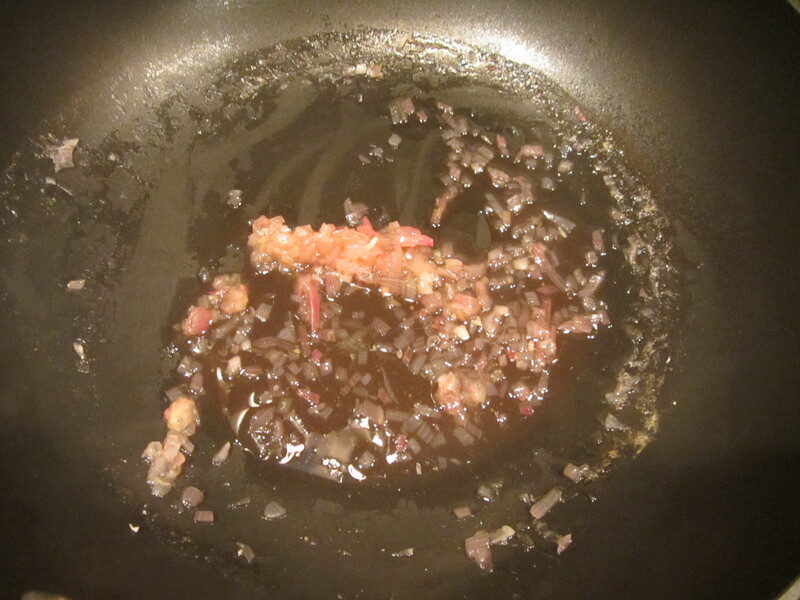 To scale the sauce up or down, Alton explains that you want to use about a stick of butter per tablespoon of reduction. 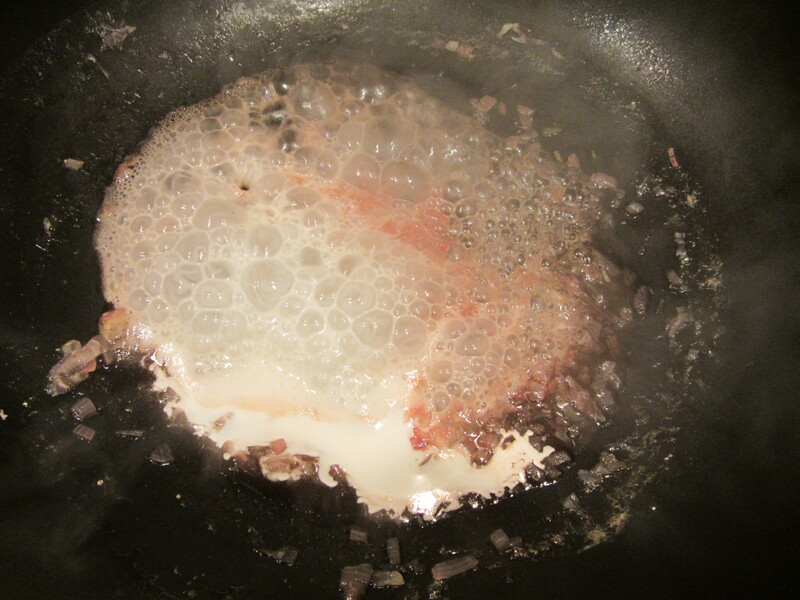 Once all of the butter has been added, season the sauce with Kosher salt and white pepper, to taste. 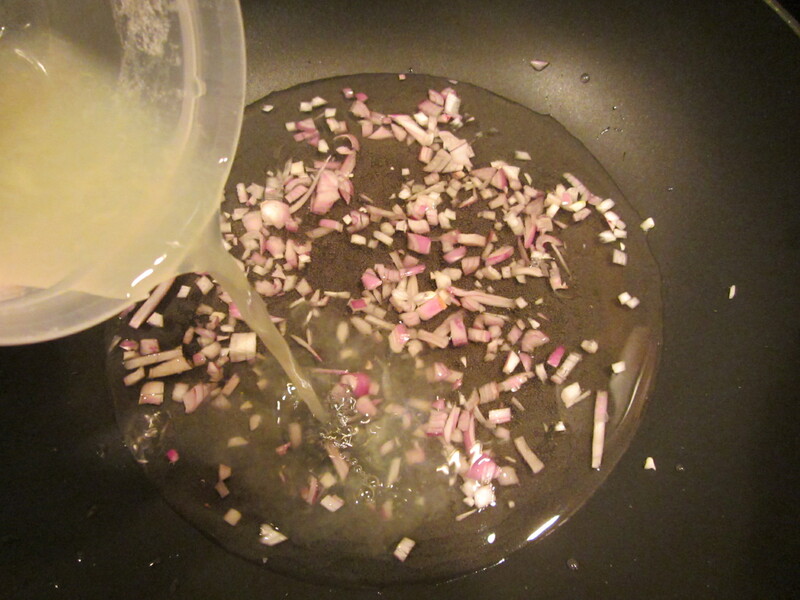 You can serve the sauce as is, or you can strain it for a perfectly smooth sauce. 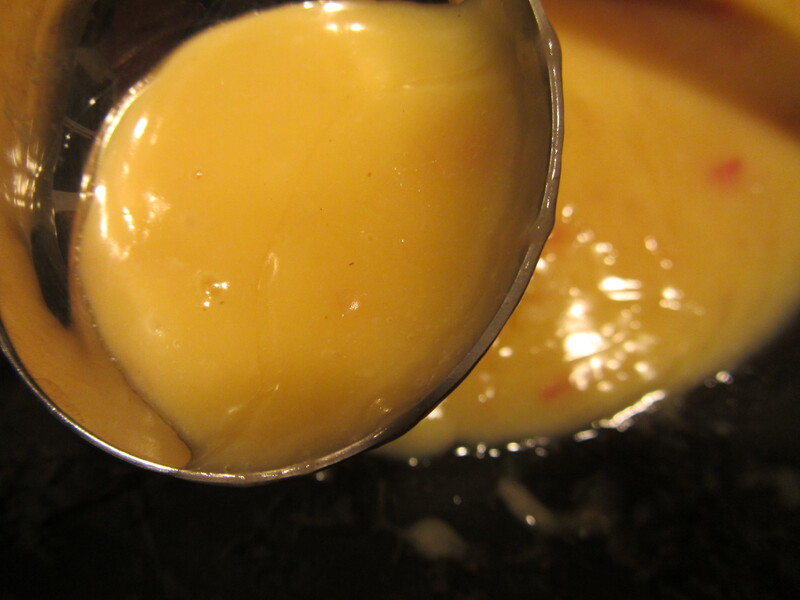 Since the beurre blanc will not hold well, you will want to serve it immediately or store it in a thermos for later use. 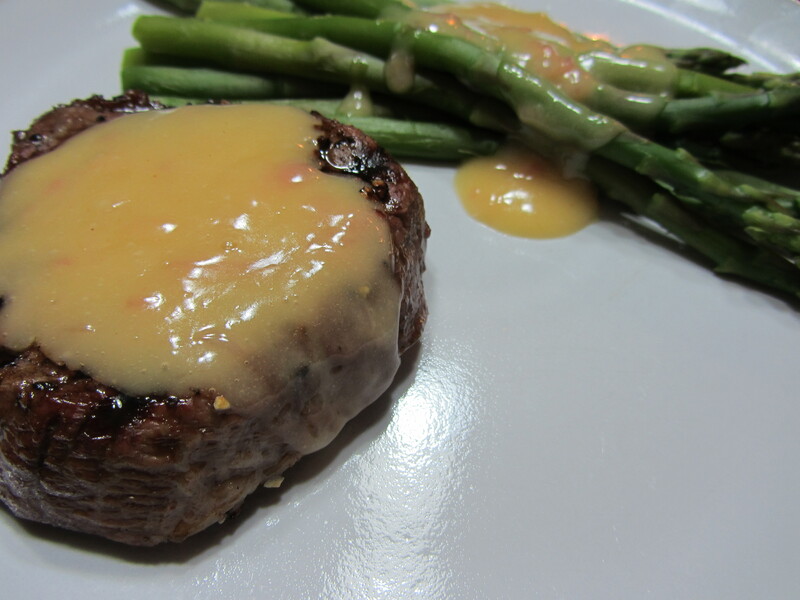 We had the beurre blanc over steaks and asparagus for dinner, and it paired greatly with both. Alton’s beurre blanc over a steak and asparagus. As someone who prefers to have some sort of sauce with steak, I really enjoyed this. 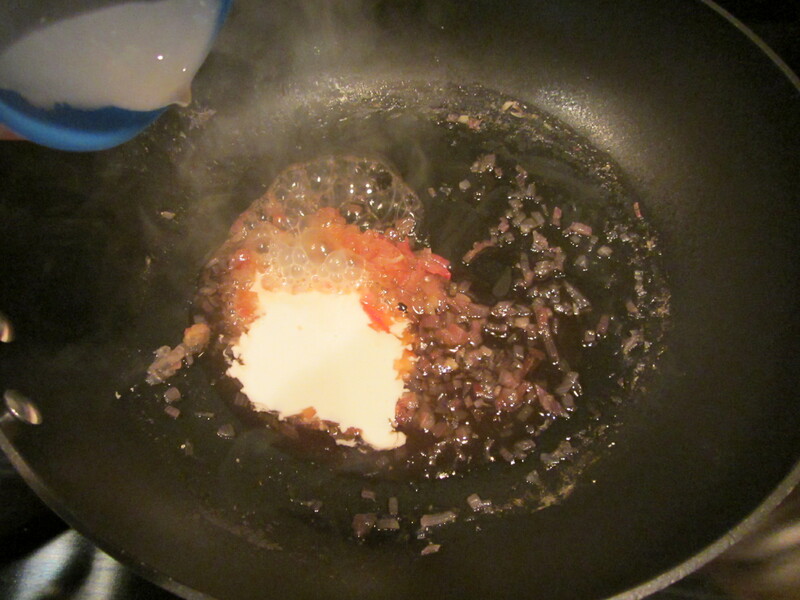 I loved the slight sourness of the sauce, as it contrasted nicely with the richness from the butter. I will be making this one again for sure, as it would also be great over poached eggs or fish. This is a simple way to dress dinner up. 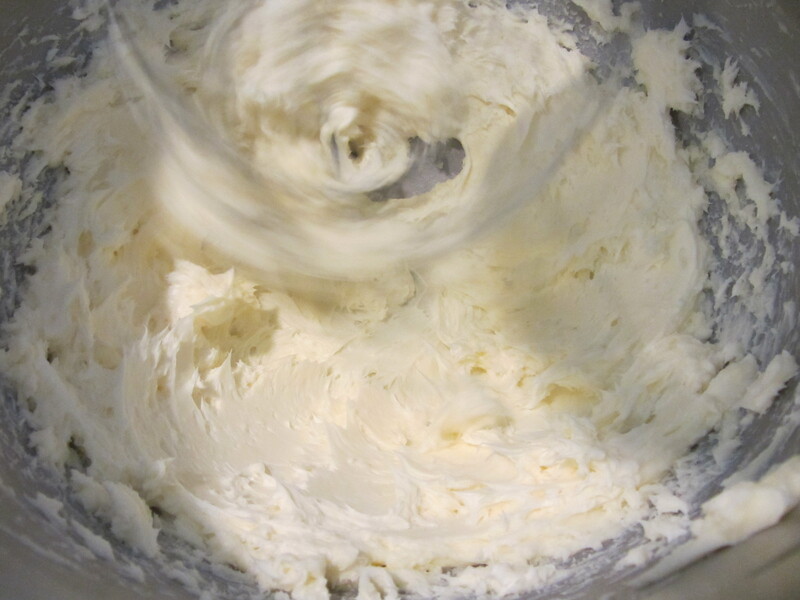 Next up in Alton’s butter arsenal is a recipe for compound butter. 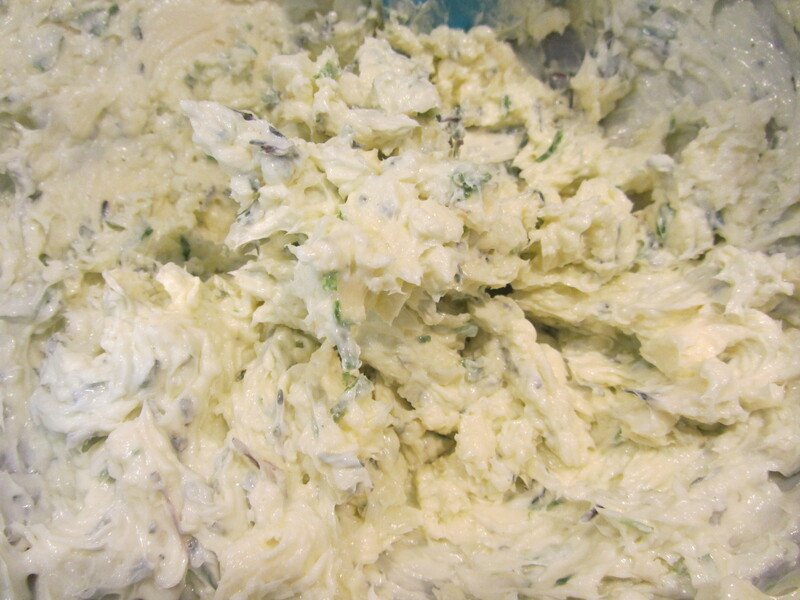 I remember having compound butter at some restaurant when I was little, with my mom explaining to me that there were endless possibilities for flavor combinations you could achieve. Alton’s version is pretty straight forward. 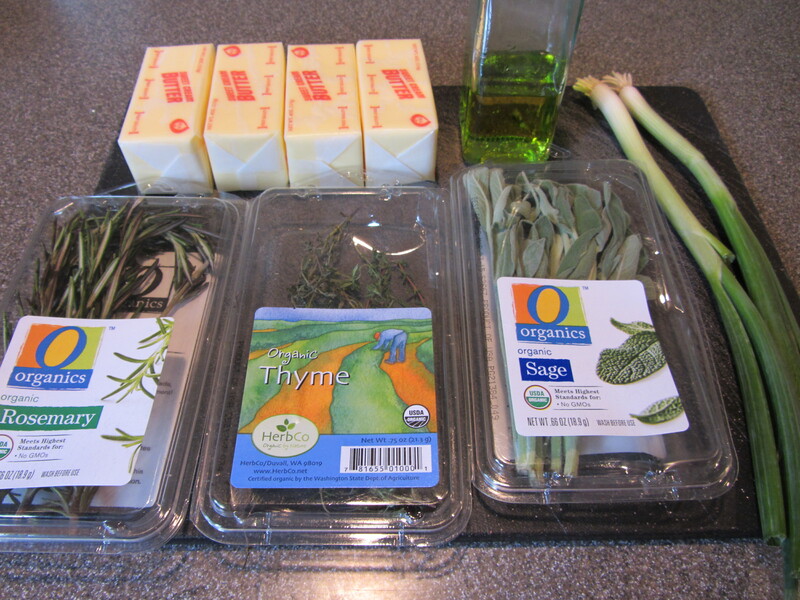 Ingredients for compound butter: olive oil, chives, thyme, rosemary, sage, and salted butter. 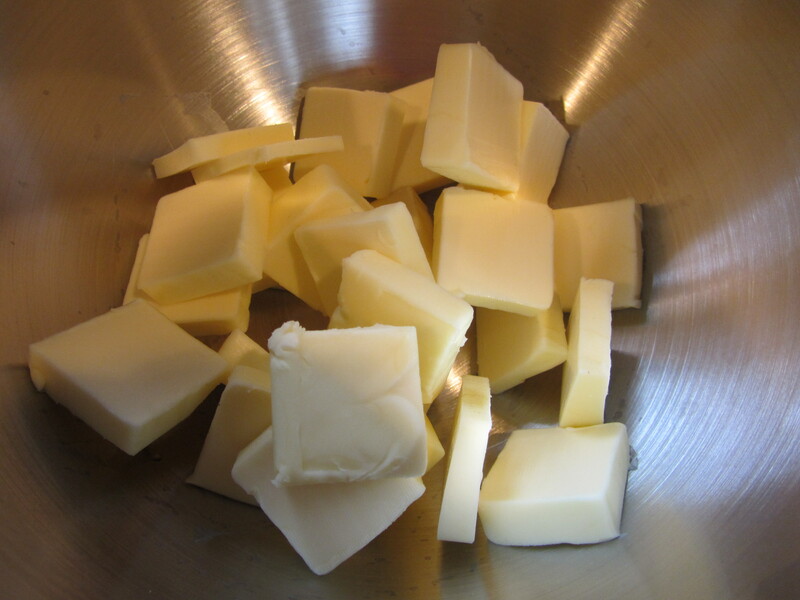 To start, cut a pound of salted butter into tablespoon-sized chunks and set it aside. 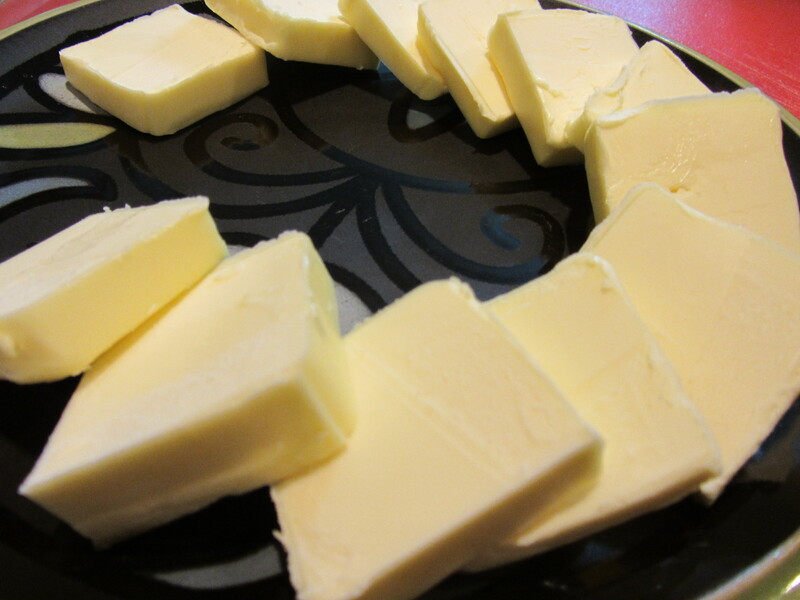 Salted butter is used here because it has a longer shelf-life; the salt in the butter helps to prevent oxidation. 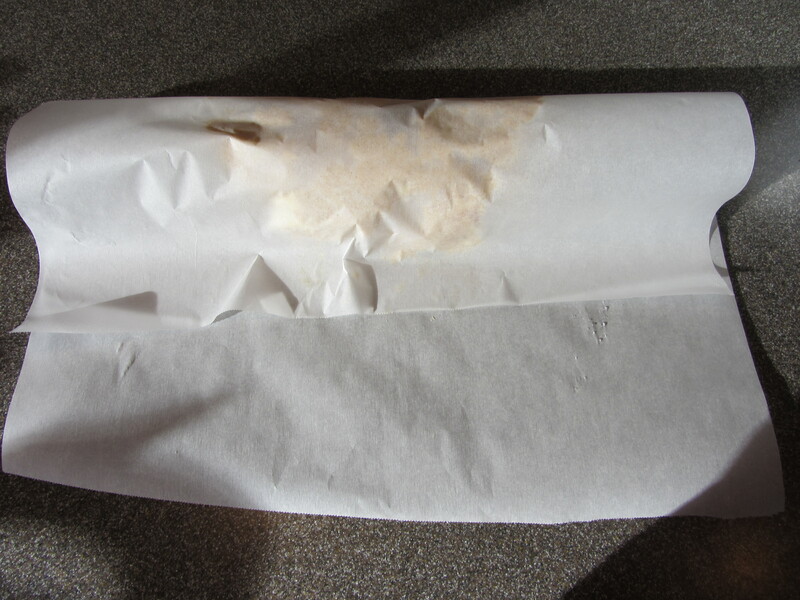 This is why unsalted butter is typically wrapped in foil, while salted butter is not. 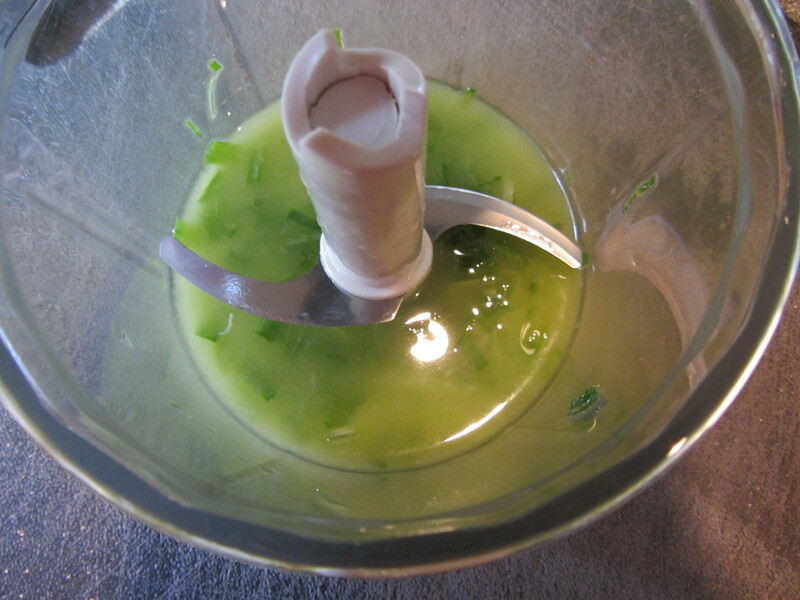 Next, pour 3-4 T of olive oil into your food processor, add 2 T of chopped chives, and chop. 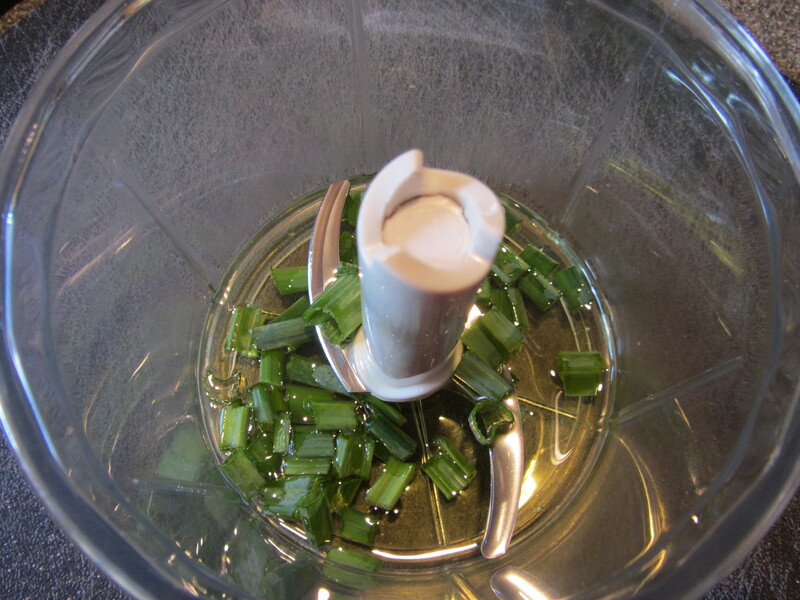 Chives and olive oil in the food processor. 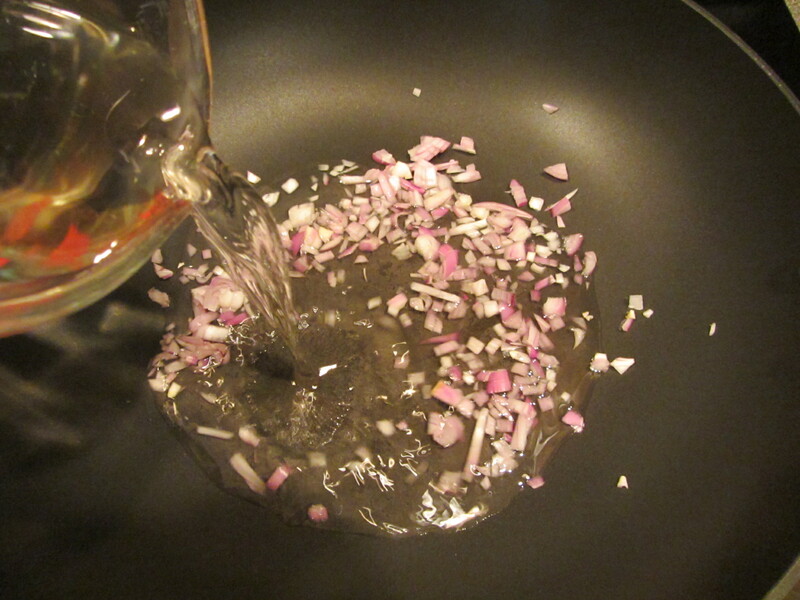 Chopped chives in olive oil. 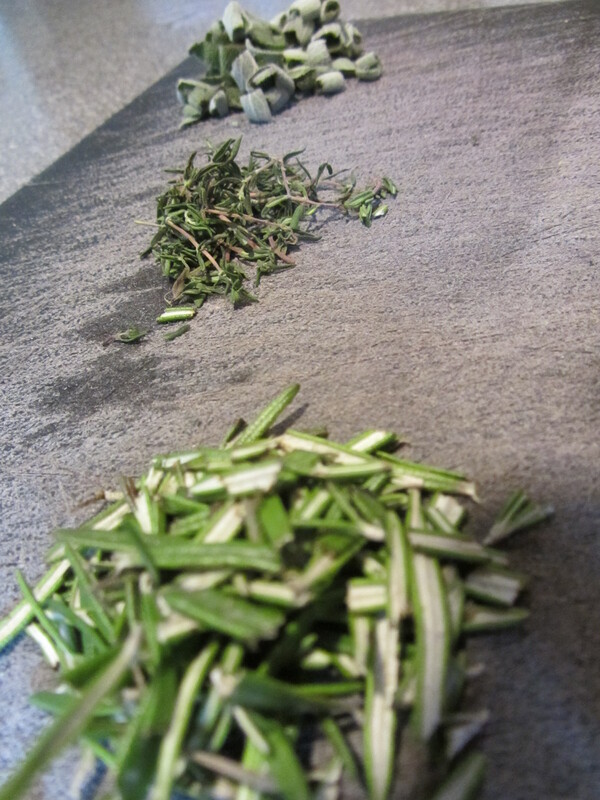 To this, add 3 T of mixed herbs; Alton likes a tablespoon each of sage, thyme, and rosemary. 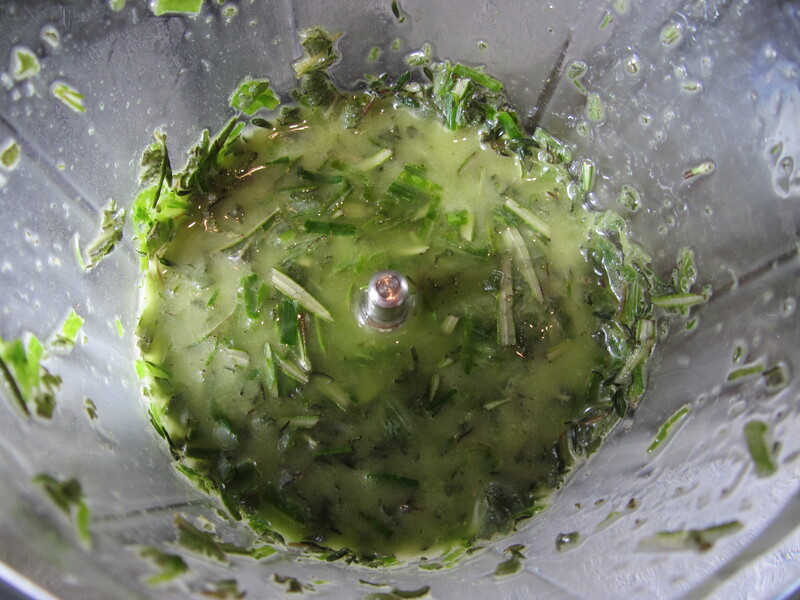 Process this herb mixture until the oil is green. Chopped sage, thyme, and rosemary. 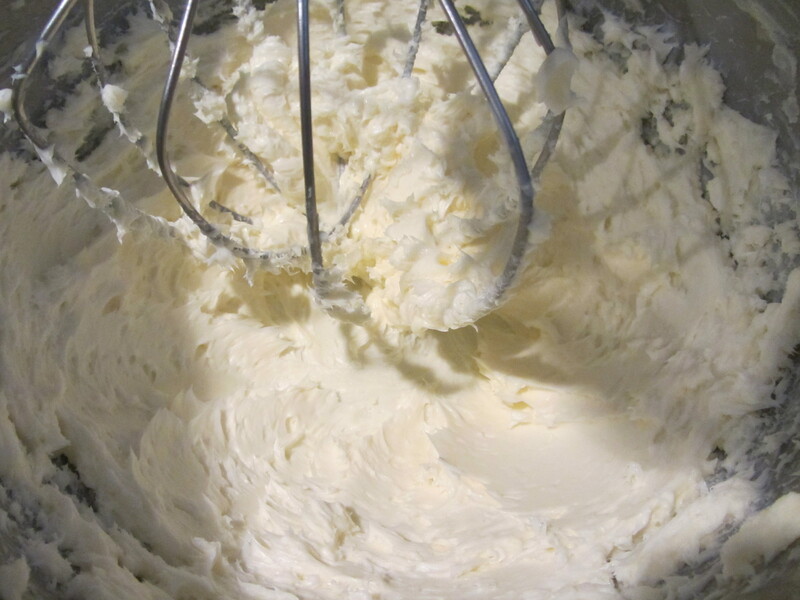 Using the whisk attachment on your stand mixer, beat the butter until fluffy, starting on low and increasing the speed to high. The butter should be fluffy in 5-7 minutes. 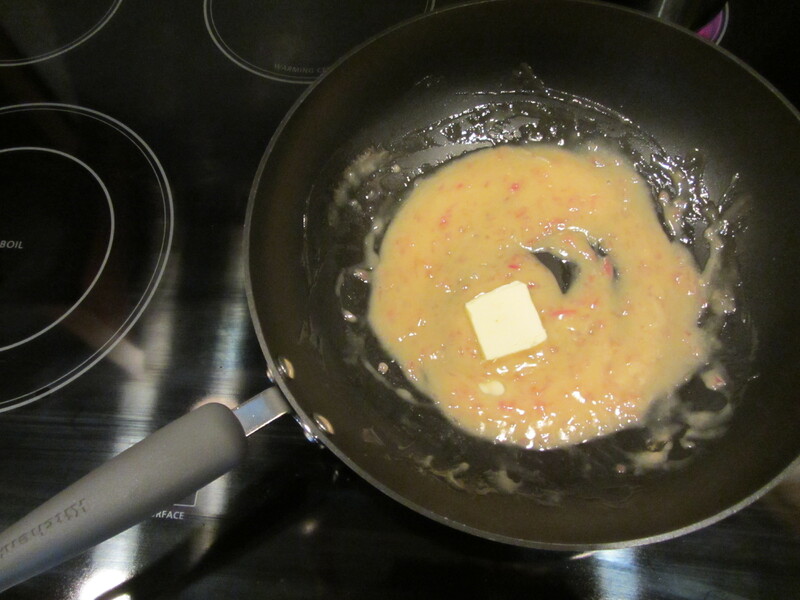 Once fluffy, add the oil to the butter and mix until incorporated evenly. 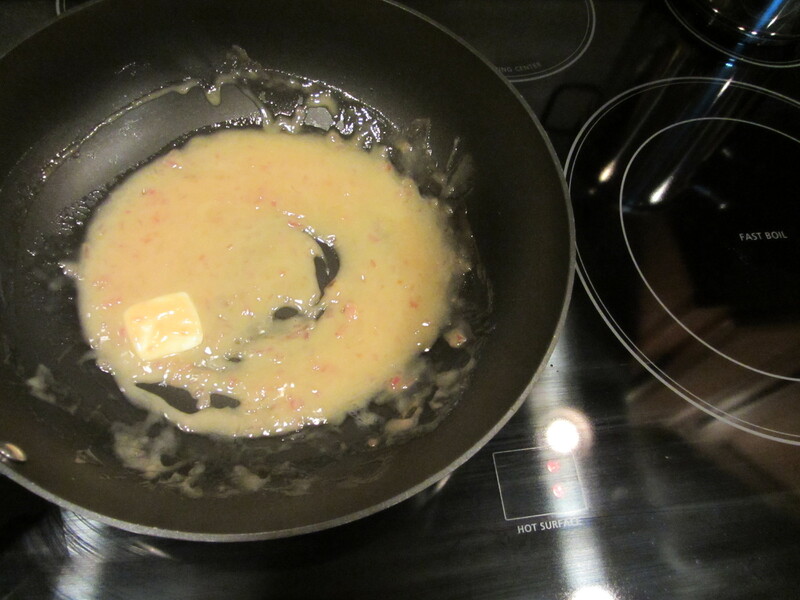 Herb/oil mixture added to butter and mixed. Spoon the butter onto the end of a sheet of parchment, and pull the far end of the parchment over the butter. Compound butter on one end of parchment. Far end of parchment pulled over butter. Place the edge of a sheet pan against the butter (on top of the paper), hold the bottom piece of paper, and press the butter into a log shape. 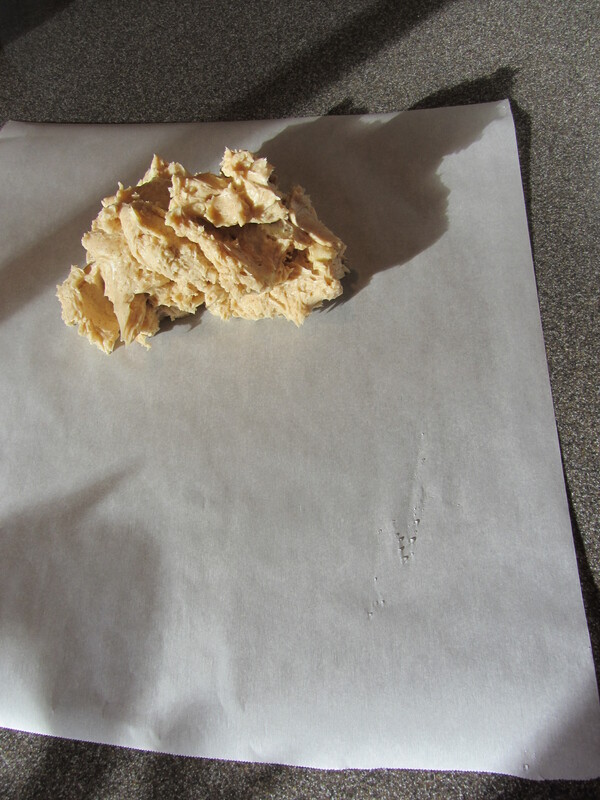 Roll up the ends of the parchment, secure with rubber bands, and chill the butter until firm. 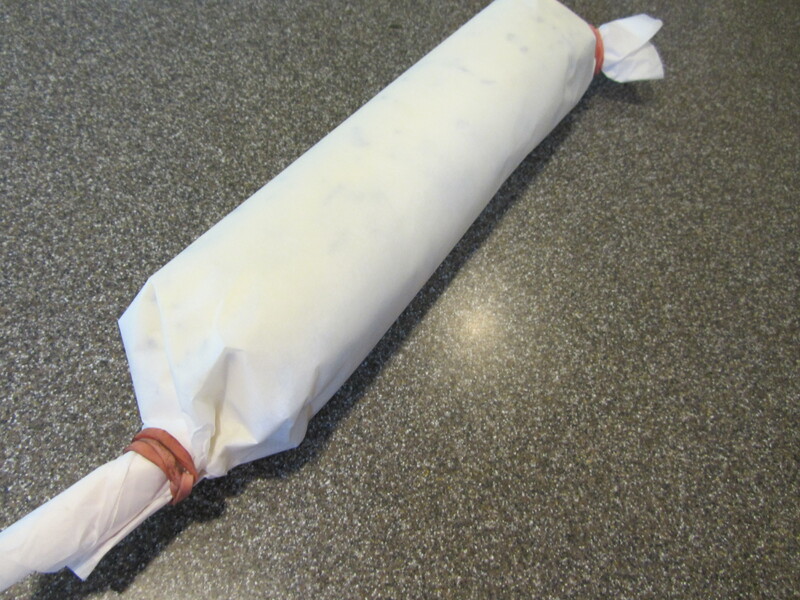 Compound butter rolled into a log to be chilled. 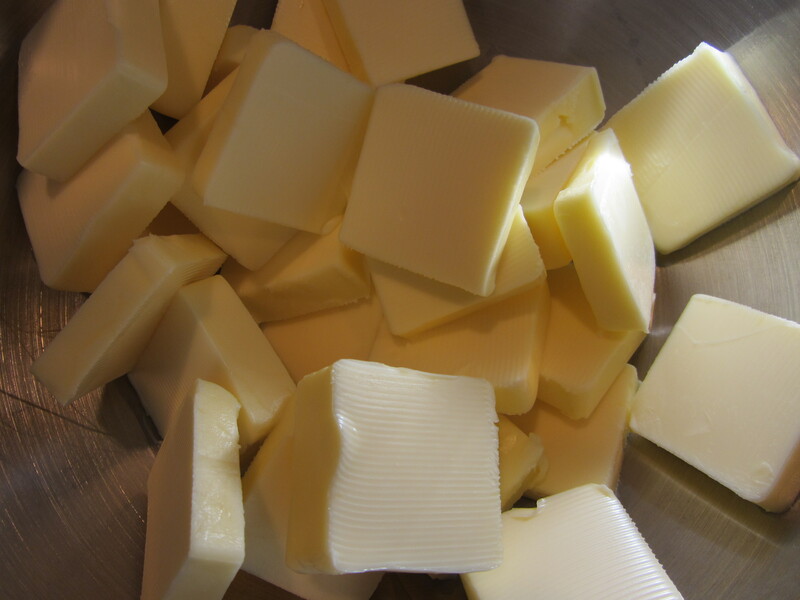 Slice the butter and serve as a sauce for meat, chicken, fish, bread, vegetables, or anything else you can think of. 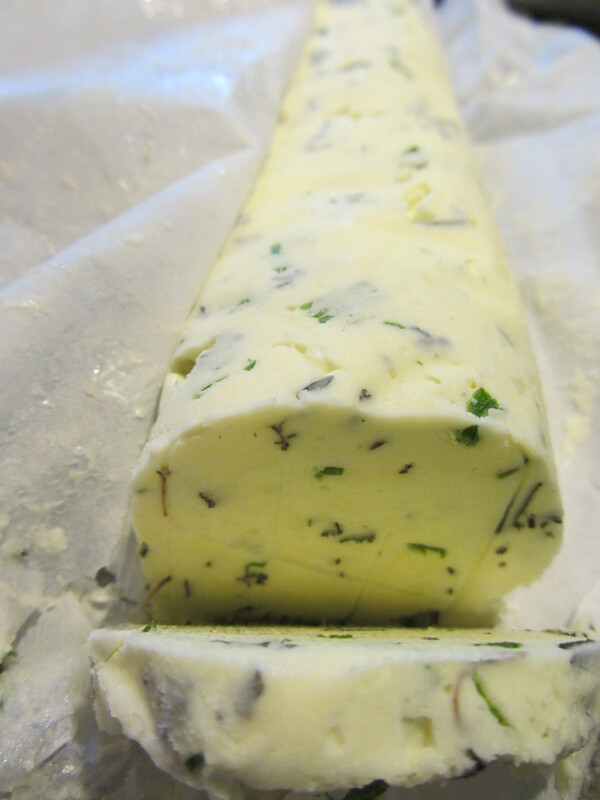 I first tried the butter this morning on half a bagel, and I could smell the fresh herbs as soon as I unrolled the parchment. 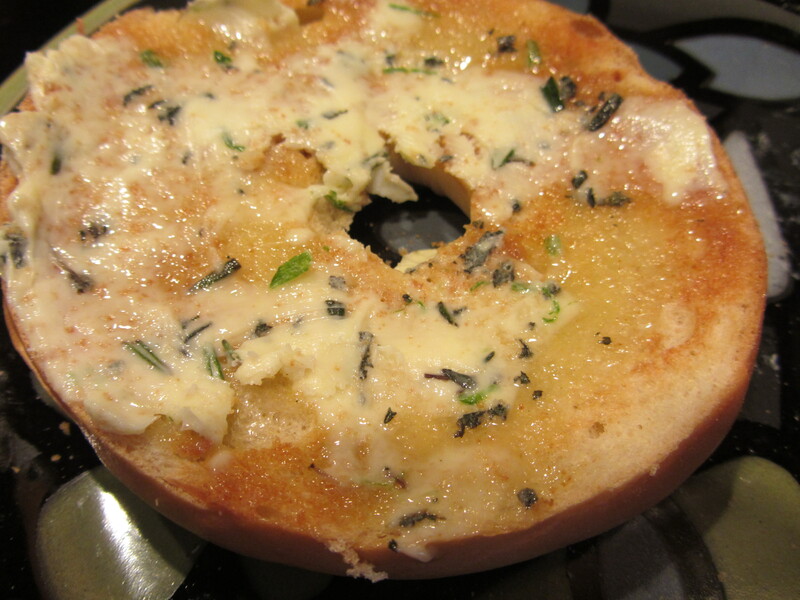 Compound butter on a bagel. I liked this particular combination of herbs because none of the herbs overwhelmed the others. The butter looks really pretty and is super flavorful, so it would be a great thing to serve to guests. I look forward to trying this as a simple sauce for many things in the coming weeks. For a sweet finish to the episode, Alton makes honey butter. This recipe is really similar to the compound butter recipe. 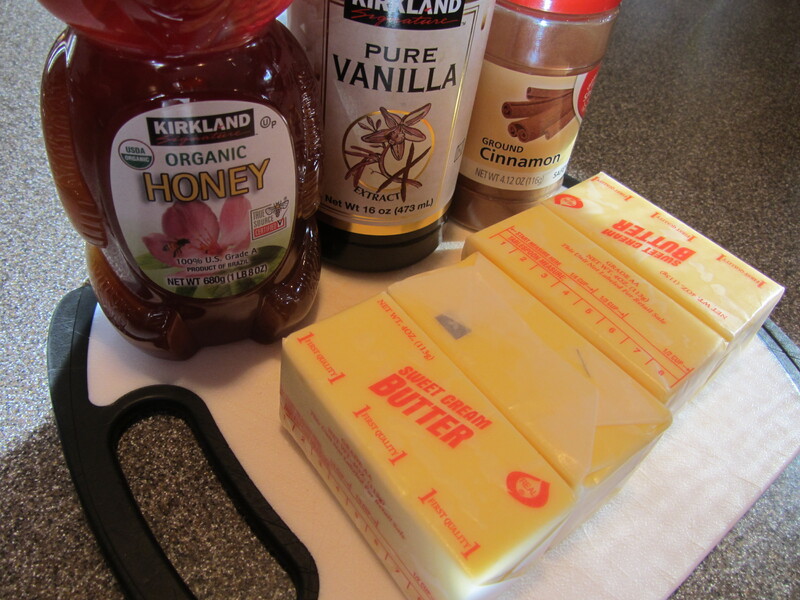 Ingredients for honey butter: salted butter, honey, cinnamon, and vanilla extract. 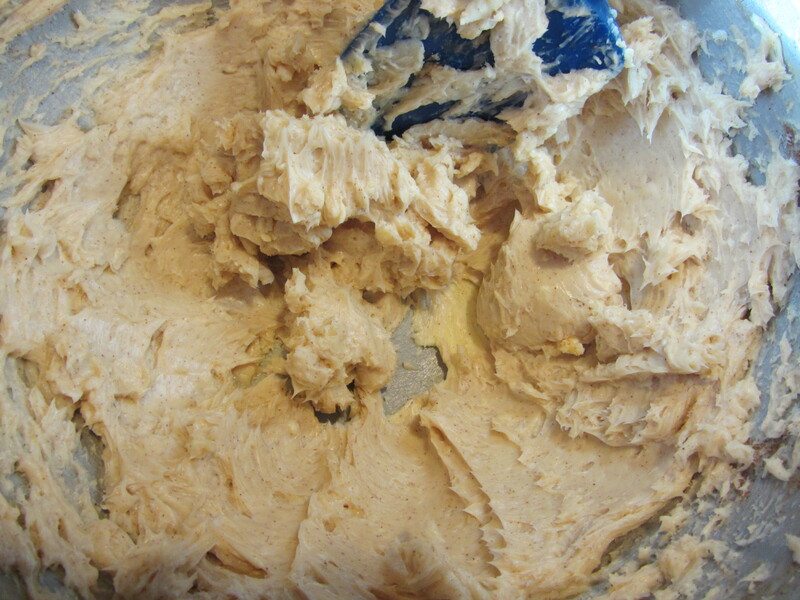 To start, cut a pound of salted butter into chunks and beat it with the whisk attachment of your mixer until fluffy. Once fluffy, add 1/4 C honey, 1/2 t cinnamon, and 1/2 t vanilla extract. Mix until evenly distributed. 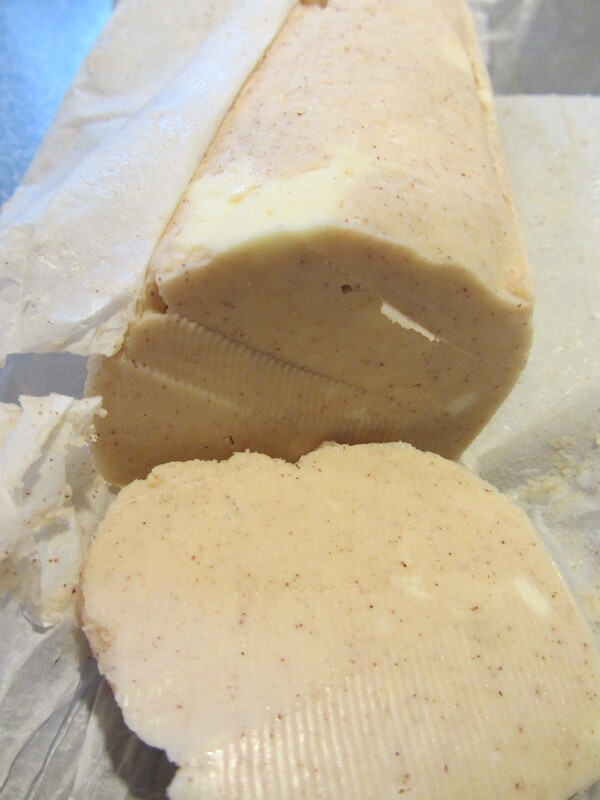 Cinnamon, honey, and vanilla mixed into butter. 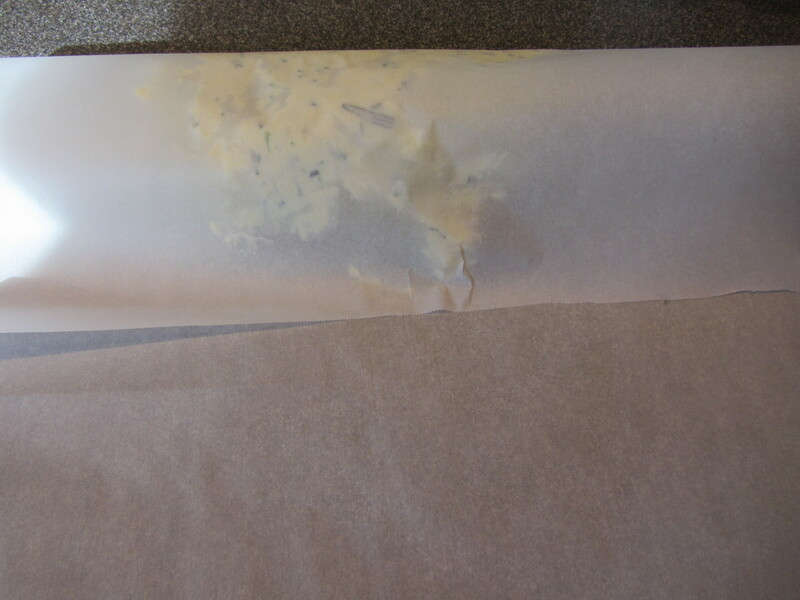 Put the butter on parchment, use a sheet pan to push the butter into a log, and roll up the ends. 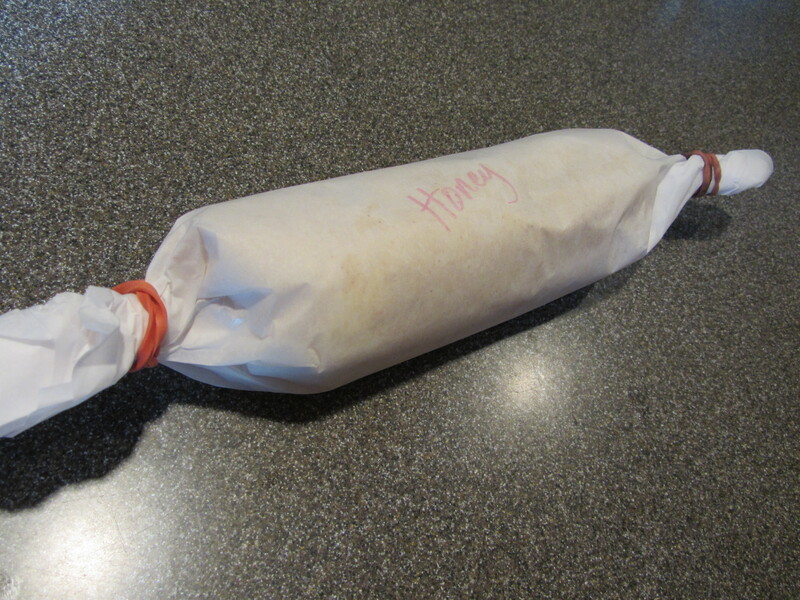 Honey butter on end of parchment sheet. 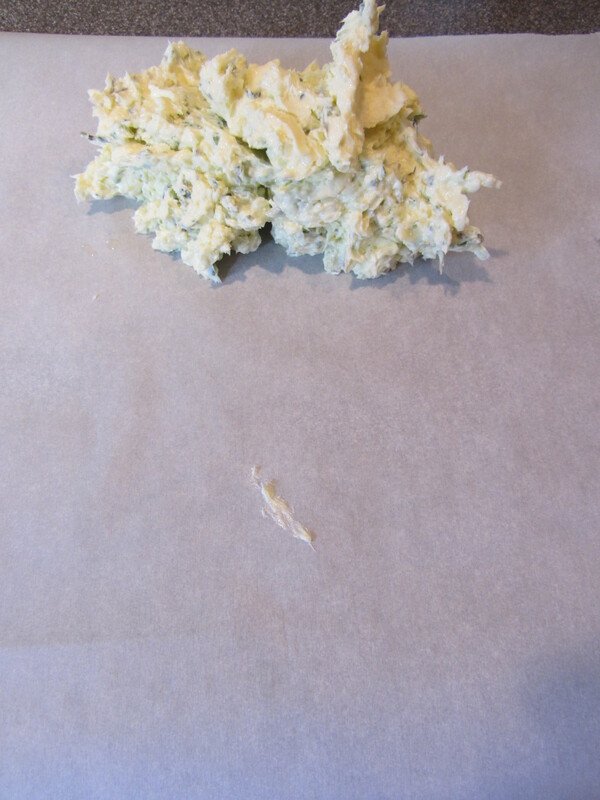 End of parchment pulled over butter. Chill the butter until firm, and slice to serve. Again, to first try this butter, I had it on half a bagel. A pat of honey butter. 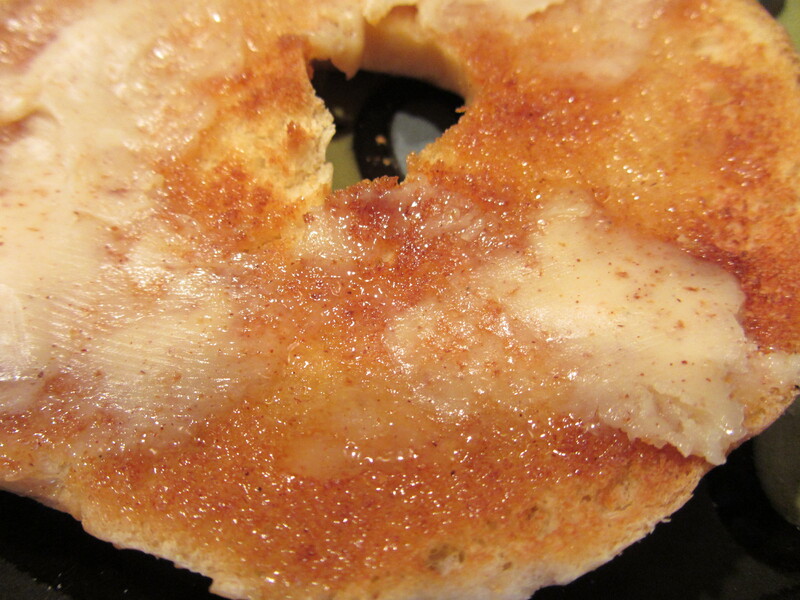 Honey butter on a bagel. I was pleasantly surprised by the level of sweetness in the butter, as I was concerned it would be cloyingly sweet, but it was not. 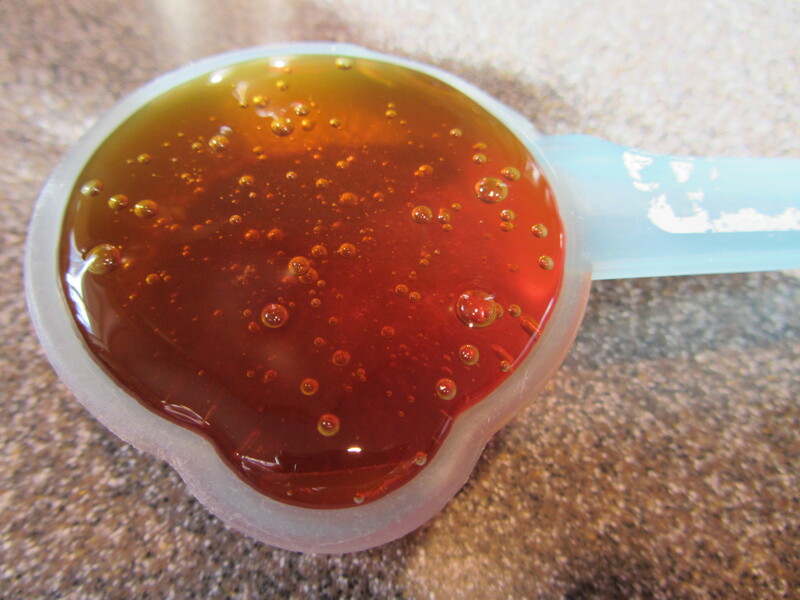 The flavor of the honey definitely came through, as did the vanilla and the cinnamon, but nothing was overpowering. This would be great on pancakes or waffles, and I think I will be trying that this weekend… with Alton’s pancake mix, of course!